Where is Custom Care Pharmacy located? 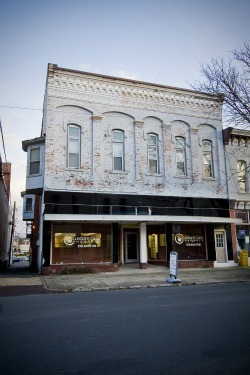 The Pharmacy is located in downtown Milton, on South Front Street (57 S. Front Street) near M&T Bank. For detailed directions including parking info, visit this page. What are Custom Care Pharmacy’s business hours? We are open Monday through Friday, 9 a.m. to 6 p.m. and Saturday, 9 a.m. to 2 p.m. We are closed on Sundays. How can I contact someone at Custom Care? Call us at 570-246-5700, send us an email, or use our online Contact form. 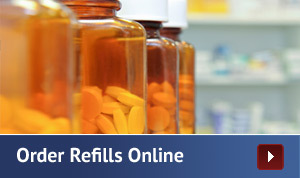 What sets Custom Care Pharmacy apart from other pharmacies? Our lead pharmacist worked for many years at chain pharmacies. Often times, personal service and one-on-one attention wasn’t at the top of the chain’s priority list. Custom Care Pharmacy prides itself on providing excellent customer service and getting to know you, and your family’s needs. We also offer services that many chains do not – including compounding, which means we can develop the right dose of medicine just for you. We even do compounding for pet medications! Does the Pharmacy offer home delivery service? Yes. Simply call us at 570-246-5700 and we can deliver prescriptions and home medical equipment to you. We also offer convenient curbside pickup. How can Custom Care help customers with other healthcare needs? We provide diabetes education and a large selection of home medical supplies. Does Custom Care provide immunizations? We offer immunizations year-round, including flu, pneumonia, typhoid, tetanus, hepatitis A and B, yellow fever, shingles, and other travel-related vaccinations. What kind of home medical equipment does the Pharmacy carry? We carry a full line of home medical equipment to meet every need. For an extensive list, visit our home medical equipment page. What vitamins are best for me? Custom Care Pharmacy offers a wide variety of health and wellness products that can enhance your life. We have a well-educated staff who can help you choose from our stock of vitamins, nutritional supplements and hypoallergenic formulas. Custom Care Pharmacy is Open For Business! 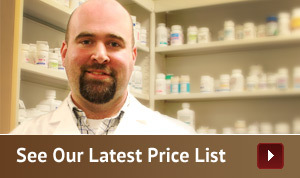 Sign-up now to receive updates and special offers from Custom Care Pharmacy.